Amazon has delivered my books - one of which I should have bought before I actually started sewing. 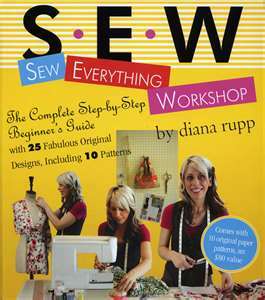 However, I probably should have bought the book before I bought the sewing machine, but in all fairness, had I not bought the sewing machine (that was on a super duper extra one day special) I would have not thought about sewing anything really. It seems to have a wealth of tips and tricks in there, so I can't wait to get going.